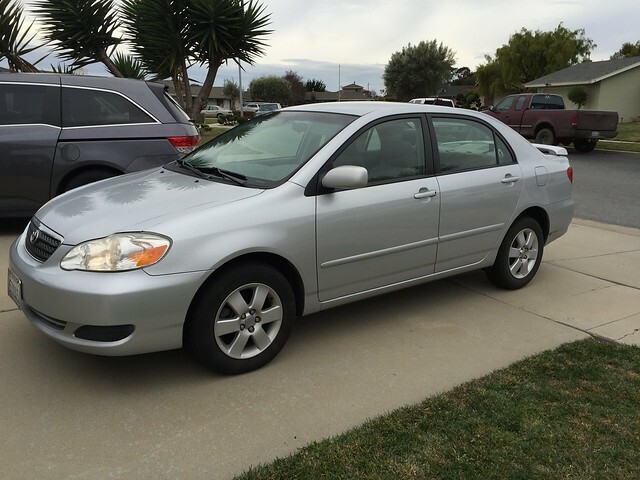 I said goodbye to my 2006 Toyota Corolla today! I had bought my Corolla brand-new after my used Mazda 626 (i think it was a 97?) dropped its oil cap and ruined the engine. So after 10 years, Jeff especially thought it was time for a new car. 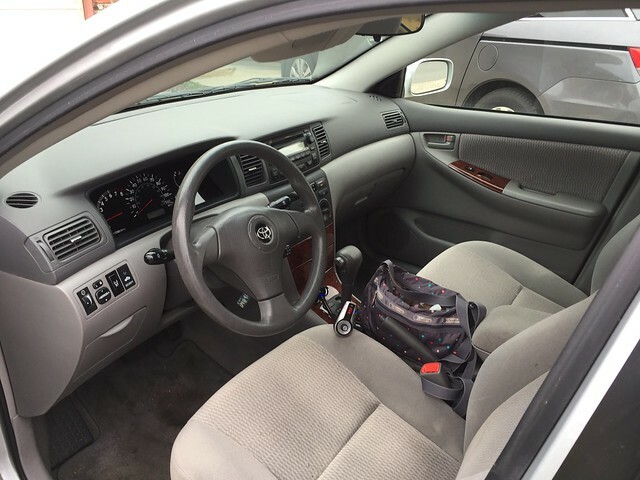 I really liked my old”practical” car… and funny enough, somehow when i bought it i knew i would have it a while and use it to eventually cart along children — even if when i bought it i was single and had not even met Jeff yet! So it had definitely served its purpose, and had excellent gas mileage (35 mpg) for my somewhat long commute to work. We traded the Corolla in and got maybe $2K for it i think. It has some body damage and needed new tires. 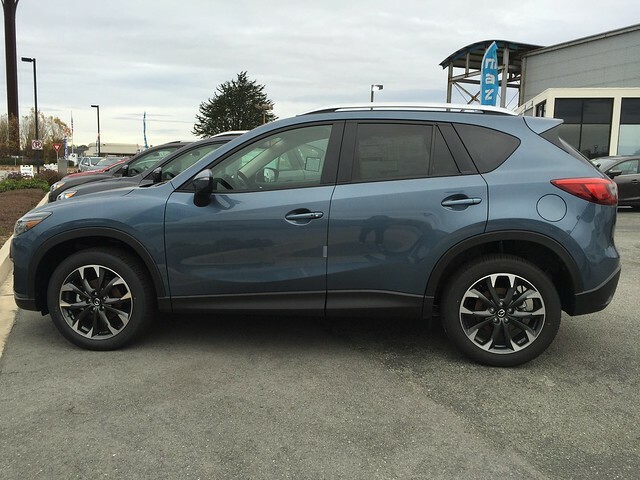 I test drove the Hyundai Tucson but liked the Mazda better. We actually test drove in Salinas but they didn’t have the color i wanted. I went home and called Seaside Mazda dealership and they said they didn’t have the blue car i wanted on the lot — but that it was coming on a shipment THAT NIGHT! Sa-weet. I picked a blue car this time because i was tired of a ‘boring’ silver car! But the bad thing is it does show dirt a lot more than my practical silver car. Wah wah…. I had to buy a whole backseat seat cover to put under the kids’ car seats because the kids eat snacks in my car while driving to daycare in the morning. So far i think it is working pretty well. You should have seen the back of my Corolla! Yikes! I am looking forward to driving the the car and taking it to Costco where i hopefully won’t have to battle with my trunk and shove items in the kids’ carseats!